I’ve explored this topic before. I’ve purchased craft books, read blogs and tried to do it myself. I fixed grammar, added commas and checked my dialog tags. Still the story didn’t shine. It was sagging in the middle. I had a lot to learn about revisions. When I go to submit my story, I want it to be the best story I can produce. My drafts tend to be all talk and no description. I need to go in and add the deep POV. In other words, I need a ton of work to make the story shine. All of us revise. We either revise as we go or revise at then end. 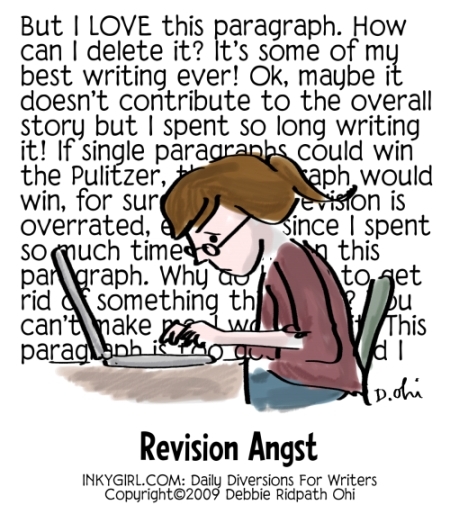 I was guilty of the “revise as you go” process. For the first novel, I was so busy polishing the first three chapters I had a hard time finishing the novel. I also got seriously sick of that book. This book, I drafted first. I like fast drafting, but that’s another article. Now I’m ready to revise. What do I do? Proofreading is the easiest. Did you run spell check? Grammar check? Good, though be aware that word processing programs are not perfect for grammar. Nor do they catch wrongly used word. Your word processor won’t distinguish between ‘here’ and ‘hear.’ Proofreading also means doing a read-through and fixing things like a name used wrong, wrong words and other tweaking you might do. 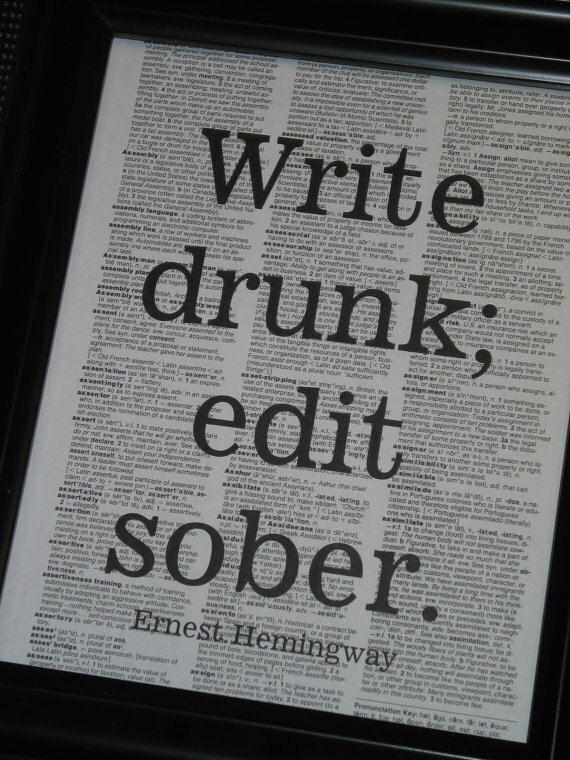 Copy or line edits is the type of editing an editor will do before publishing your book. This type of editing will include catching plot holes, some characterization, and that type of stuff. Developmental edits are just that. This may also be called substantial edits. You deconstruct the novel and revise each part. It’s this type of editing that was the subject of the retreat. As mentioned above, in my first novel, I rewrote the first three chapters so many times. It was the part that got entered in contests. Took me a while to finish the book. Now I draft. After planning the book, I write the first draft until done. Here is where I stumbled. What happens next? I chose to try the developmental edits. I knew the book needed a lot of work. Why? Proofreading didn’t work. I read through the novel and it needed a lot of work. It wasn’t ready for anyone to see. 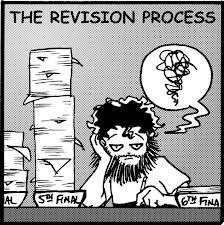 Revision: A Creative Approach to Writing and Rewriting Fiction by David Michael Kaplan. Manuscript Makeover: Revision Techniques No Fiction Writer Can Afford to Ignore” by Elizabeth Lyon. Revision and Self-Editing for Publication by James Scott Bell. Self-Editing for Fiction Writers: How to edit yourself into print by Renni Brown and Dave King. http://www.annawrites.com from Anna DeStefano. She has great a great blog including “How We Write.” Anna will have a workshop at RWA this year and does workshops all over about revising. Her archives on her blog are a great source. Here’s another blog on editing offering a great overview: http://www.wordcafeblog.wordpress.com/2013/03/05/editing-workshop-par-1-do-i-really-need-an-edit/. Need help with grammar? The Chicago Manual of Style is online: http://www.chicagomanualofstyle.org/home.html. The Purdue Online Writing Lab is a great place for grammar help. I learned about this site when I went back to school. You can find it here: http://owl.english.purdue.edu/. These should get you started on building your tool kit for revising your novel. Of course, there is no one-way to do this. Next time: the adventures of developmental edits. Cathy Yardley’s Rock Your Revisions helped tremendously, as did Diana Layne’s post on The Ruby-Slippered Sisterhood! Kaye Dacus’s series on writing is amazing too. What’s cut down on the OMGWTFBBQ part of drafting and revising is finally understanding the purpose of turning points via Jenny Crusie’s RWA handout. I’d have characters and a plot, and would definitely know my Black Moment, but many people would call my MSS “quiet” because I was just hitting lots of plot points I thought were turning points until I reached the Black Moment/Climax. I’d nail that part, but everything before that mark was just the characters doing things and reacting to events instead of the plot coming forth from their characterization (and the shape of the romance genre). Thanks for all the great resources in one post, this is awesome.